“Julian Assange: Conspiracy theorist proved right?” was the questioning headline of a comment piece co-authored by AFP correspondents Alice Ritchie and James Pheby following the breaking news of the British arrest of the founder of WikiLeaks on Thursday. The arrest comes 16 days after the organisation tweeted, citing the New York Times, that Ecuador's President Lenin Moreno was trying “to sell Assange to US for debt relief,” especially after the whistleblower organisation published the purportedly leaked contents of his iPhone (Whatsapp, Telegram) & Gmail. The Whistleblower organisation tweeted again six days ago warning that its founder will be expelled within “hours to days”. The withdrawal of Assange's political asylum by Ecuador, arrest by the British police and the US Department of Justice releasing the indictment against him have all taken place within the span of a few hours. The story of the 47-year-old Australian journalist, software developer and activist, who championed whistleblowing, is about the creation of a digital civil society as an alternative form of the future struggles of humanity. It is also about the failure of modern-day academia which the digital civil society is expected to replace in advancing the humankind. More than the leaks, it is the contextualisation of the leaking empirical big data, which threatens the powers. It is also this contextualisation, which Assange was evolving through founding the WikiLeaks, that earned him the title ‘conspiracy theorist’. Julian Assange seems to have accomplished the mission of creating a digital civil society capable of doing the contextualisation, long before his arrest. 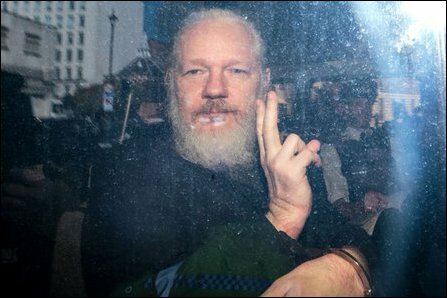 The Iceland based Editor-in-Chief of WikiLeaks, Kristinn Hrafnsson, in an interview to Reykjavík Grapevine Magazine in March, said that they had always known that the move to expel Julian was ongoing and brewing. A Dutch Digital Self Defence expert tied to WikiLeaks mysteriously disappeared while he was on a tour to Norway in August 2018. 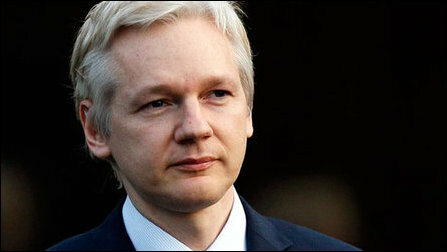 WikiLeaks was repeatedly publishing and tweeting on his disappearance describing it as “strange”. The suspicion increased when Arjen's phone was activated at a separate locality far from the site of his disappearance, 10 days after the incident. His fate is not yet known. The still mysterious disappearance of the Dutch expert in Norway came at a time when his arguments of “the IT of another Europe” were being taken seriously by major actors in Europe. “It may seem that taking on the spying powers, the global superpowers is a daunting task. But, we should never shy away from the daunting tasks, because that is what really makes things worthwhile to do,” was the words of Arjen at a lecture held a few months before his disappearance. The present US Secretary of State Mike Pompeo, when he was the Director of the CIA back in 2007, described WikiLeaks as a "hostile intelligence service often abetted by state actors like Russia." In a speech, he called Assange a "fraud". On Tuesday, Mr Pompeo was testifying before the US Senate Committee on Appropriations. The following day, he was addressing the Senate Foreign Relations Committee. Pompeo, in his move to secure $40 billion for the State Department and USAID for Fiscal Year 2020, was listing his accomplishments in the last 11 months and two weeks of his tenure. Perhaps, getting Ecuador to end the political asylum of Assange was also one of his ‘accomplishment’ to be added to that list. The LTTE was designated as a Foreign Terrorist Organisation (FTO) in the USA during the presidency of Bill Clinton in August 1997. Later, in 2009 when the genocidal onslaught was imminent, the then Secretary of State Hillary Clinton was advised by the World Bank and IMF bureaucrats that the “Tigers need to be completely defeated and any collateral damage inflicted on private people by SL govt in the process is ok...". “Basing policy on reality, we recognized Jerusalem as Israel’s capital. We recognized Israel’s sovereignty over the Golan Heights. It’s why the State Department designated the Islamic Revolutionary Guard Corps as a terror organization on Monday. It’s just a simple recognition of reality. “Second, we used creative diplomacy to build coalitions to confront our enemies. We know we can’t – nor should we – do everything ourselves. “We convinced our NATO allies to spend more on their own defense. We rallied the Defeat ISIS coalition to dismantle the caliphate in Iraq and Syria. We convened over 60 countries in Warsaw to discuss common threats and shared opportunities in the Middle East – and that included both Arab and Israeli leaders talking to each other. We’re getting our Middle East Strategic Alliance off the ground. And we have built out an Indo-Pacific strategy to do a true pivot to Asia. “We’ve supported our hemispheric partners in the OAS and the Lima Group as they work to support the Venezuelan people. And we’ve forged a global coalition at the United Nations to impose the toughest-ever sanctions on the Democratic People’s Republic of Korea. “So what’d we get? Third, what are the outcomes? This administration promised to dismantle the caliphate and we’ve done it. We promised to confront China for its unfair trade practices and call them out on human rights violations. We’ve done that, too. We promised to exit the Iran nuclear deal to exert pressure on Tehran to change its murderous ways. 10.11.18 Obama,Clinton, Power accountable for protracted genocide hau..
AFP: Julian Assange: Conspiracy theorist proved right?